Black Elk (Hehaka Sapa) was a famous Wichasha Wakan (Medicine Man or Holy Man) of the Oglala Lakota (Sioux). He was a second cousin of Crazy Horse. 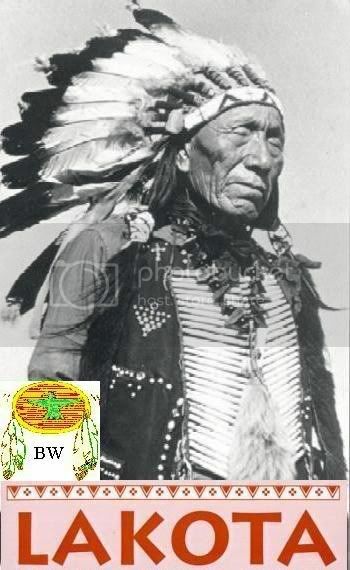 Black Elk participated, at about the age of twelve, in the Battle of Little Big Horn of 1876, and was wounded in the massacre that occurred at Wounded Knee in 1890. In 1887, Black Elk travelled to England with Buffalo Bill's Wild West Show, an unpleasant experience as he described. Black Elk married his first wife, Katie War Bonnett, in 1892. She became a Catholic, and all three of their children were baptized as Catholic.